All those brands distribute their goods in tightly secured, official channels and you won’t find these products advertised on Alibaba. If you do see ads for such products, there’s a 99%+ chance that it’s a scam! To produce products with such intellectual property designs on them, a manufacturer needs a special license agreement with the IP owner and has to pay fixed or on-going fees for each item they produce. MOST suppliers in China don’t have any such agreements in place and they basically use these designs WITHOUT the owner’s approval, which is illegal of course and this can get you in a lot of trouble if you order such items. In some cases, large manufacturers will have such licensing deals in place but you should always ask for proof and try to verify it if possible. These will be very rare situations though so in general, I recommend you STAY AWAY from any products involving IP designs, when ordering from Alibaba and China in general. These bootleg DVD box sets were very popular – 24, Baby Einstein, Friends, Breaking Bad and others – all fakes, 100% copies, sourced for a fraction of the actual cost and sold back on eBay. Luckily, those days are over! Sure, there are still bootlegs available on eBay but not on the scale it was before. If possible, I always try to stick with Gold Suppliers who are on their 3rd year+. Gold Supplier status is still the number 1 thing to look for when looking for reliable suppliers on Alibaba and to avoid scams, especially when used in conjunction with filtering out 1st year and 2nd year suppliers. The Gold Supplier status costs several thousand dollars each year – scammers simply can’t afford that kind of money. Besides that, they’ll never last longer than 1 or 2 years – by then they get caught and have to change the company name and register a new Alibaba profile. That’s why I try to stick to Gold suppliers who have been trading on Alibaba for at least 3 years. If you see a Gold Supplier in their 6th, 7th or 8th year – it’s a sure sign that it’s an established company and the chance of them being a scam are incredibly slim. I NEVER do business with free members on Alibaba! I even don’t look at free profiles as that’s where most scams are hidden. If a Chinese manufacturer or trading company can’t afford the Gold Supplier yearly fee, it definitely says something about them. Onsite check means that Alibaba have checked the supplier’s premises and have verified that a business exists there. They also do a company verification to confirm legal existence of that supplier. Supplier Assessment is a more in-depth verification by 3rd party companies, like SGS, and offers a more detailed inspection report, often including financial data, more images, and even videos. As a general rule of thumb, you should deal with suppliers who have at least the Onsite Check done and ideally, 3rd party supplier assessment too, for added peace of mind. Trade assurance is an Escrow type of payment system on Alibaba where you get protection on your order if something goes wrong (product not delivered, not delivered on time, quality issues etc.). Unlike traditional Escrow where money is held until you release it (like on Ali Express), with Trade Assurance you actually pay the money into the supplier’s bank account, but you still get protection on your order. In general, Trade Assurance is a good indicator that the supplier won’t scam you by not sending your goods but of course it does not guarantee that your order will go as smoothly as planned (more on that later). This way only suppliers that meet all 3 criteria will be shown in your search results. 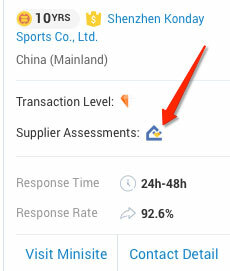 There’s a new indicator introduced by Alibaba that shows transaction history and level of trade for suppliers using the Trade Assurance system. Basically it shows how much in sales a supplier has done on Alibaba and obviously, the bigger these numbers are the better, as it is proof that it’s a legit company with regular orders. I wouldn’t rule out any supplier because of them having no transaction history though as only Trade Assurance orders are included, whereas most orders are placed outside that system. But just keep this filter in mind as extra proof that you’re dealing with an established seller. 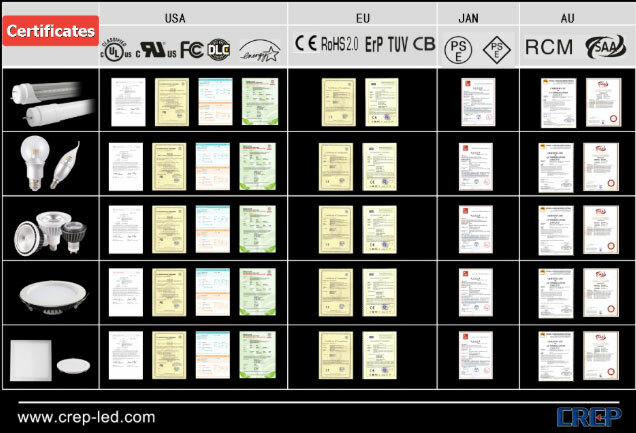 Many suppliers will show off scanned certificates for their products (CE for example), manufacturing facility (ISO) and other part of their business. It’s just more proof that you’re dealing with a genuine supplier. Be warned though! There are cases when suppliers use fake certificates so to be 100% sure, you want to verify these certificates. Usually you’ll find a company/organisation name on the certificate who you can then contact and ask for verification of that certificate. Many testing houses even have online testing facility where you can check such certificates for free, instantly, like on SGS’s website for example. This is a very good indicator that you’re dealing with a legit supplier. These days more and more Alibaba companies are opening AliExpress stores where you can shop safely for small MOQs and pay securely via Escrow using your credit card. If a supplier has an AliExpress shop, check it out. Specifically, check out their feedback as it can tell you a lot about the product quality, how quickly the supplier dispatches goods etc. How to find out whether a supplier has an Ali Express shop? Simply go to supplier profile, then click on Contacts. Usually suppliers will put a link to their Ali Express shop under Website links, if they have a shop that is. And you can take this even further – quite often, just to save me time and avoid extra, unnecessary communication, I use a supplier’s AliExpress shop to order samples. This way you can check the quality of the product and only once happy with everything, place your real wholesale order by contacting the supplier directly through Alibaba or even the same AliExpress! YES, even on AliExpress you can get significant discounts when buying in true bulk so if you want to stick with AliExpress & their escrow system, you can simply negotiate a deal with your supplier there. Just keep in mind that it will always be more expensive than dealing with the supplier directly as AliExpress takes their cut in fees for each transaction. 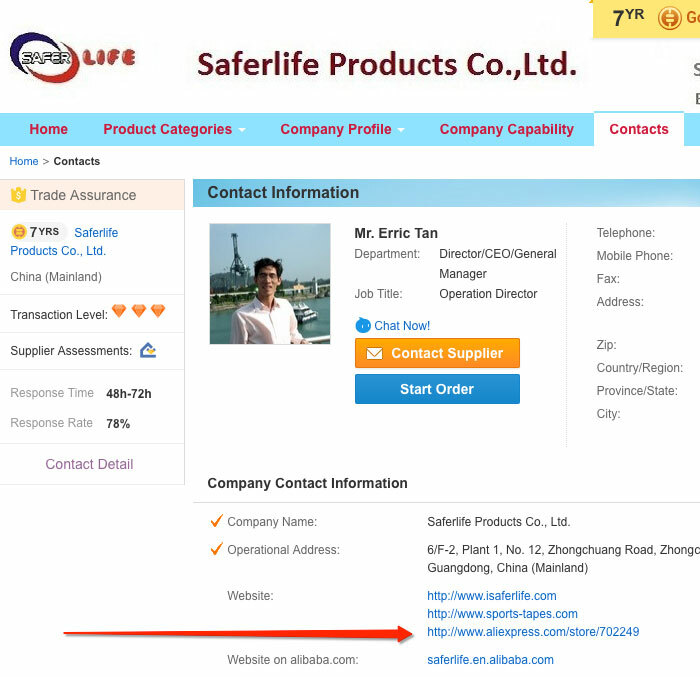 If a supplier has a video on their Alibaba profile, check it out. 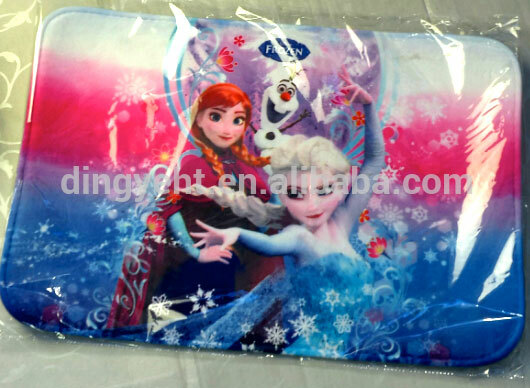 If it’s produced by Alibaba themselves, it’s a sure sign that the company is real and genuine. If not, still try to use it and look for signs that tell you this is the company you’re dealing with (logo/company name on office walls, factory footage showing production of the goods they’re advertising, trade show footage etc.). And this also applies to images a supplier uses in their profile and product listings. I’m always wary of suppliers who use stock images in their profile/listings as only one thing crosses my mind – they have nothing to show! Trading companies are usually ones that do this – they only have a few office images, stock product images and some mystic/blurry factory images so you can’t really understand what’s going on there. My ideal supplier has tons of pictures showing their factory, the entrance to the factory, the reception desk with logos on etc. The more images there are with the factory name or company name showing, the better. If a company owns a proper, standalone website in English, that’s another good sign that you’re dealing with a reputable company. You should also do a Who Is database check to find out when the domain name was registered; the older the better, of course. But don’t expect world class websites here! 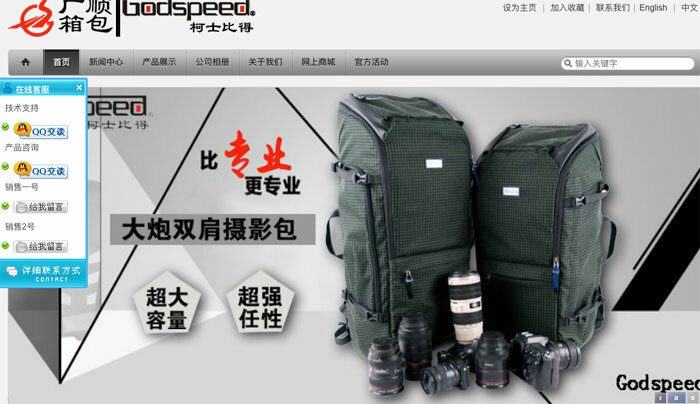 Most Chinese supplier websites are very basic, even old-fashioned and load very slowly (this must be something to do with internet connections in China or their hosting) BUT it’s okay, in fact it’s completely normal. On a side note – even if a company has a decent website, I usually stick to dealing with them through Alibaba. But sometimes there can be exceptions – for example – sometimes sales agents on the website’s live chat are much faster to respond that on Alibaba. This is most likely because they view a website lead as being much higher value that an Alibaba one, where they get lots of time wasters. So yes, if the website has live chat, do try using that. 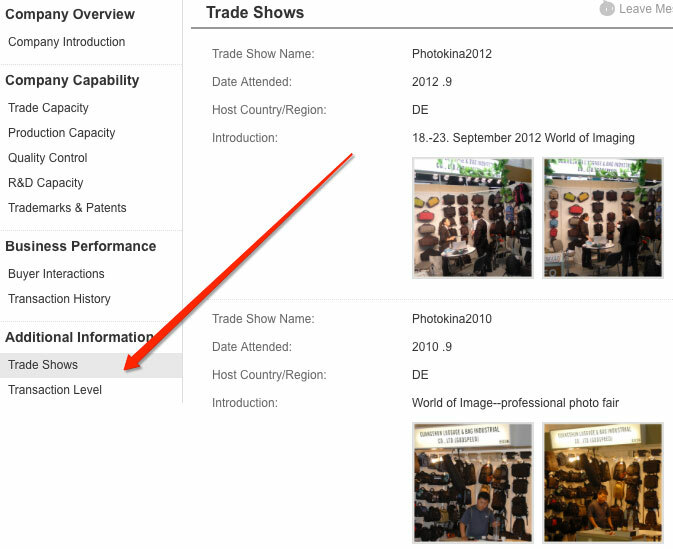 Whether it’s on a company’s Alibaba profile or their website, look for Trade Show information. Scammers DO NOT attend trade shows so if you see trade shows listed for up-coming months, or past trade show information with pictures, it’s another good sign. But always make sure to try and verify this information on the official Trade Show website (for example, China’s biggest trade show is Canton Fair). Do a quick Google search of the company’s name. 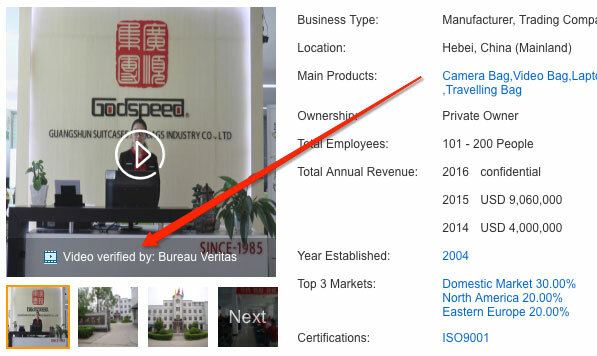 Quite often you’ll get links to their profile on other Chinese B2B websites, such as MadeinChina or Global Sources. If the company has a verified profile on Global Sources, chances of them being a scam are reduced to an absolute minimum as Global Sources takes its verification process very seriously and there are stringent requirements for authentication. So depending on the number of stars a supplier has on Global Sources, you can be sure that you’re dealing with a real company. While still on Google, do another search for “company name + scam”. Usually this will pull up any forum posts or scam reports associated with that company. When you’re already in the negotiation process and receive your first pro-forma invoice, always check the company address, name & bank details. It should be exactly the same as on their Alibaba profile. NEVER send money to a personal bank account! This is the most typical scam played out on Alibaba – the supplier will tell you that they’re having a problem with their business account so please send the money to our boss’s account. NEVER do that! Money that goes to a personal bank account is often nothing more than money gone down the drain. If the only payment methods a supplier accepts are Western Union and Money Gram, run away! I would never even consider dealing with such a supplier. And while not all suppliers in China will accept PayPal, a bank transfer to a company’s account should be a default payment method that is always available to use. If they also accept Trade Assurance, a letter of credit or PayPal – even better! But never only Western Union or Money Gram! The only time that I’m happy to use Western Union is when paying for samples as it’s quicker and cheaper to send small amounts via WU than to do a bank transfer. That is all pretty straightforward, right? Excellent! So that is my TOP 12 filters to use when looking for a new supplier on Alibaba. There are of course many more, smaller ones, like – watermarked pictures. 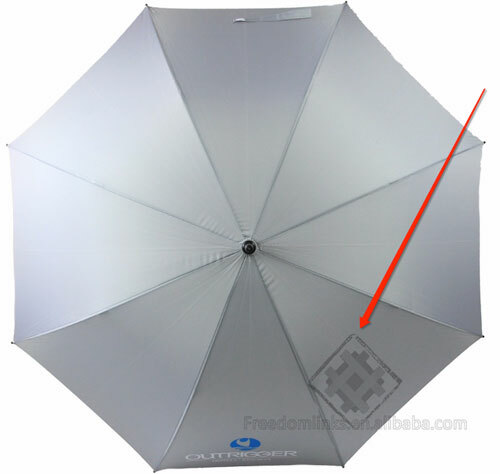 If a supplier has their own, watermarked pictures on their Alibaba product showcase, it’s another good sign that it’s a legit supplier (scammers usually don’t have the time or resources to get unique product pictures). But overall, if you follow these 12 verification steps to check new suppliers, the likelihood of you getting scammed on Alibaba is really, really small. Sure, you can get unlucky – no one is protected 100% and risk is part of any business but in general, you’ll stay safe and avoid scams on Alibaba if you follow my advice. Lastly, let me quickly note that there’s a difference between getting scammed on Alibaba AND simply getting a bad supplier with low quality stock or a supplier who is lazy, unresponsive and doesn’t want to hear about your problems after the sale is made. There are good and bad suppliers everywhere – be it China, UK, Argentina or anywhere else! That’s why you should always start with a sample order, just to test the product quality and the supplier’s reliability. If you’re happy with the sample order, place your first real order but still keep it to a relatively small size and increase your orders gradually. Why? Well what often happens is that suppliers send out a perfect sample but then if you go ahead with a massive first order, they could send you a lower quality product. Ideally, you would want to do a factory inspection before you place your real order. This way you can verify that the supplier is actually what they appear to be and reduce the chance of you getting scammed to a minimum. Verification is also important if you want to deal with manufacturers ONLY as many trading companies advertise themselves as manufacturers when actually they’re just a middle man and don’t have any manufacturing facilities. An inspection report will reveal the truth! Well, that’s it for today. I really hope this helps you to stay out of trouble and avoid scams on Alibaba! As I said, there are actually not that many scammers left at all, but if you avoid branded goods and follow my 12 step verification process, your chances of getting scammed are reduced to an absolute minimum. PrevBREAKING! THE European Union has finally replied pro-Biafra agitators and given conditions. NextTop 10 Scams on Alibaba.com!